In 1979 a group of eleven people, interested in live theater, gathered at the home of Pat Furterer and after introductions and discussions, we began forming what is now known as The Loveland Stage Company. Several months were spent drawing up by-laws and creating a constitution for the group. Next came the task of obtaining a tax free status. Newspaper articles and word-of-mouth brought a great deal of interest to the newly formed community theater organization. A local businessman lent money to the group for their first production in the Fall of 1979. The production was a great success, initial funds were paid back and a small profit was realized. Over the years we have encouraged, nurtured, and worked with people to extend their talents into every area of live theater. We have held workshops in several areas and performed for many groups in the area, including Nursing Homes, Senior Citizens Centers, etc. Many of our members assist with local school productions (working along with students), lending costumes, sets, lighting, etc. 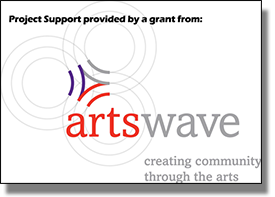 Since the 1991-2 season we have offered a “Creative Arts Scholarship” to assist a graduating senior in the Loveland School District. Since 1980 we have continuously presented at least two major productions. 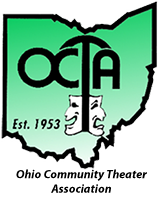 We have held Ice Cream Socials, Musical Picnics In The Park (free to the public), a One Act Play Festival, made a video presentation for the Ohio Nurses Association and held a dinner theater. All funds realized from our shows are put into the next productions, used for the scholarship fund, and renovations of our theater building. Members of the Loveland Stage Company come from every walk of life – Professionals, labors groups, school teachers., artists, construction, mothers, fathers (lots of husband and wife combinations) architects, engineers and many more. We have NO stars in our group, all performers are friends working together to present the best community theater we know how! Many of our previous productions have been in the local schools – when it is convenient for them. The storage of sets, costumes and props has always been a major problem. Then several years ago the Loveland Firefighters Association purchased an old movie theater and after several months donated it to the Company. For this generous contribution the Stage Company nominated the Firefighters Association for the prestigious “Post Corbett Award” and to our delight they won! Since 1998 we have been writing grants, soliciting funds from local businesses, individuals, and organizations to renovate this old theater. Many, many hours of volunteer work by our members eventually enabled us to open the theater. We held a Grand Opening in October 2002. We have had to install all new electric, plumbing, heating and air conditioning, acoustical ceiling with insulation, painting, and building new walls to bring us up to the building code.